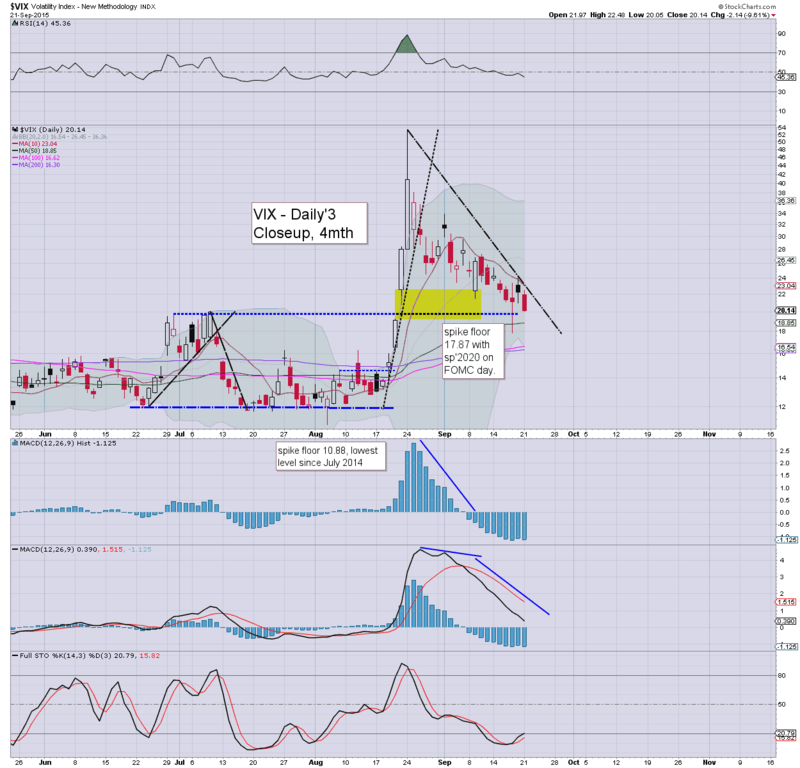 With US equities closing moderately mixed, the VIX was naturally back in cooling mode, settling -9.6% @ 20.14. Near term outlook is for continued equity upside to the sp'2030s.. which will likely equate to VIX 16/15s, before a floor is solidified. A new explosive wave in the VIX looks due into October. 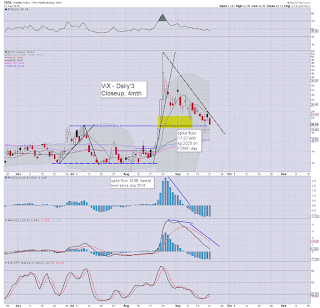 *VIX saw a distinct smack down in the brief 15mins of AH action... hitting a low of 20.05. 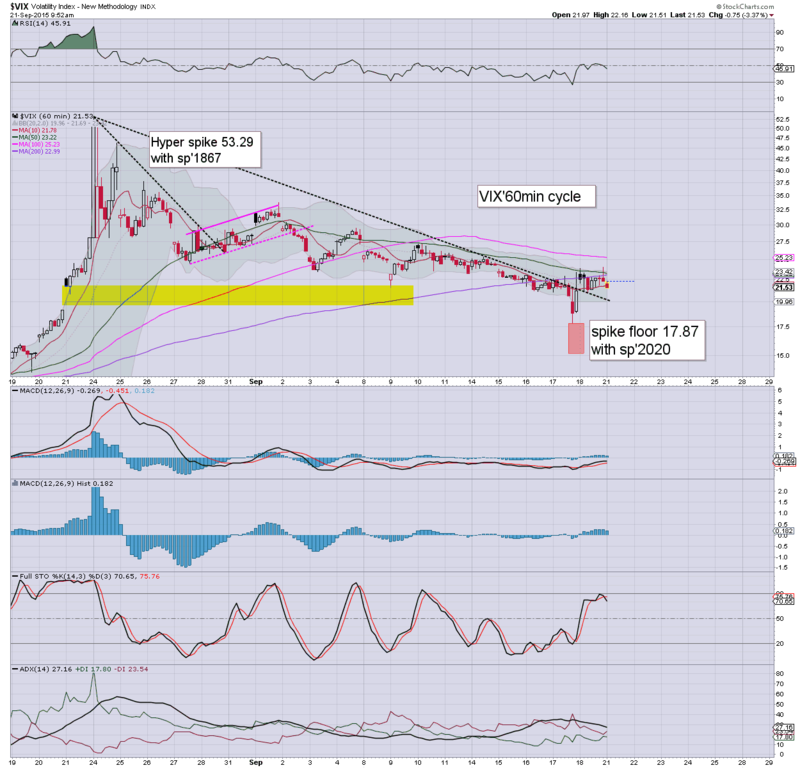 VIX is set to be increasingly subdued into Wed/Thursday... the 16/15s look viable if sp'2030s. 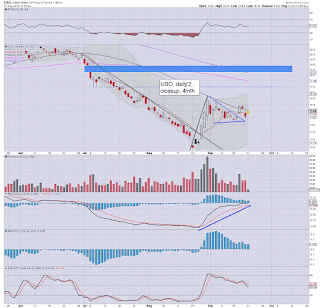 *I am seeking to pick up a VIX call block in the 17/15 zone.. this Wed/Thursday. A day of moderate swings... importantly holding above last Friday's low. 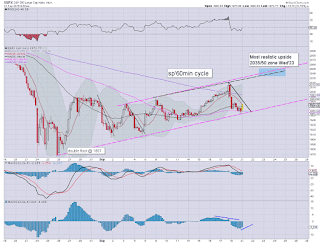 Market looks set to push into the 1980/90s tomorrow.. with sp'2000s by Wed' lunch time. 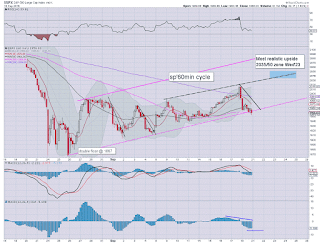 The 50dma in the 2030s remains an obvious target. If Oil can rally to 49/50.. and China 3300/400s... we will see sp'2030s. After a few swings, most US indexes are set to close moderately higher, with the sp' set for the 1970s... along with VIX 20s. 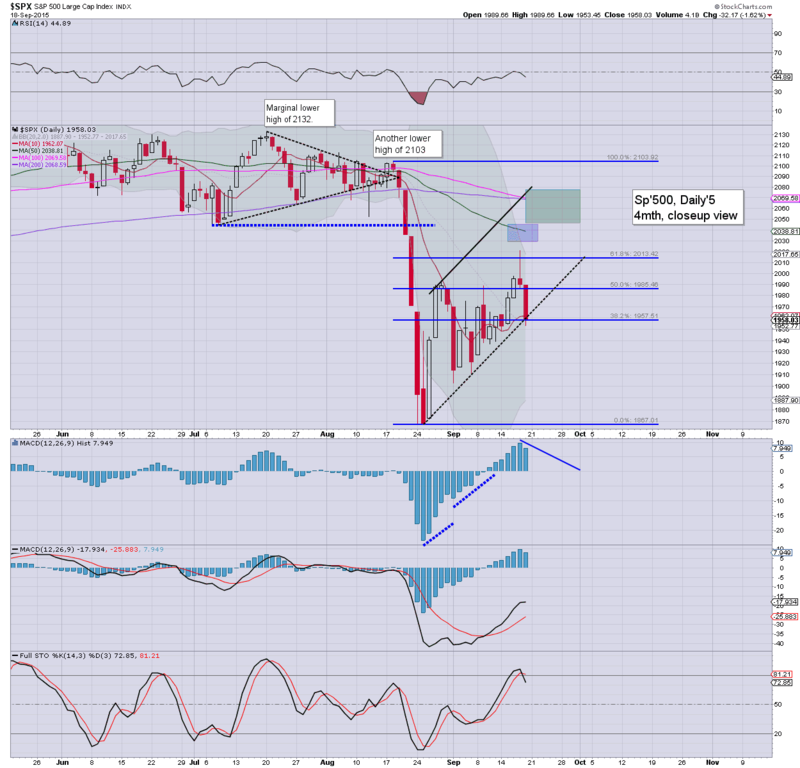 By Wednesday, we could easily be looking at sp'2000/2020 zone with VIX 18/17s. 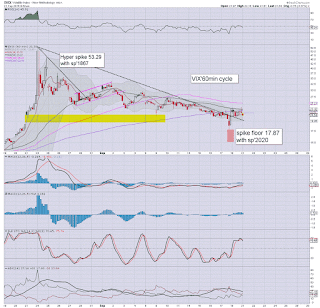 Best case for the bull maniacs would seem to be the sp'2030s with VIX 16/15s... briefly. 2. Oil is powerfully strong.. especially relative to the USD. 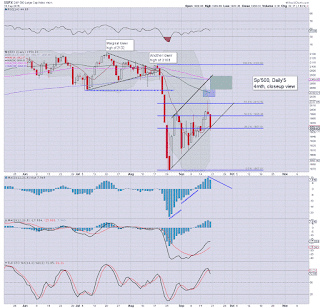 Market looks like it wants to make one more push upward into Wed/Thursday.. test the 50dma (sp'2036).. and then FAIL. *I've eyes on AAPL, DIS, and INTC, as individual stock shorts in the next cycle. Have been watching their relative option put chains today.... but better prices to short from.. still seem due. US equities have filled the opening gap, with the sp' quickly rebounding from 1955 to 1967... a daily close in the 1970s remains probable. 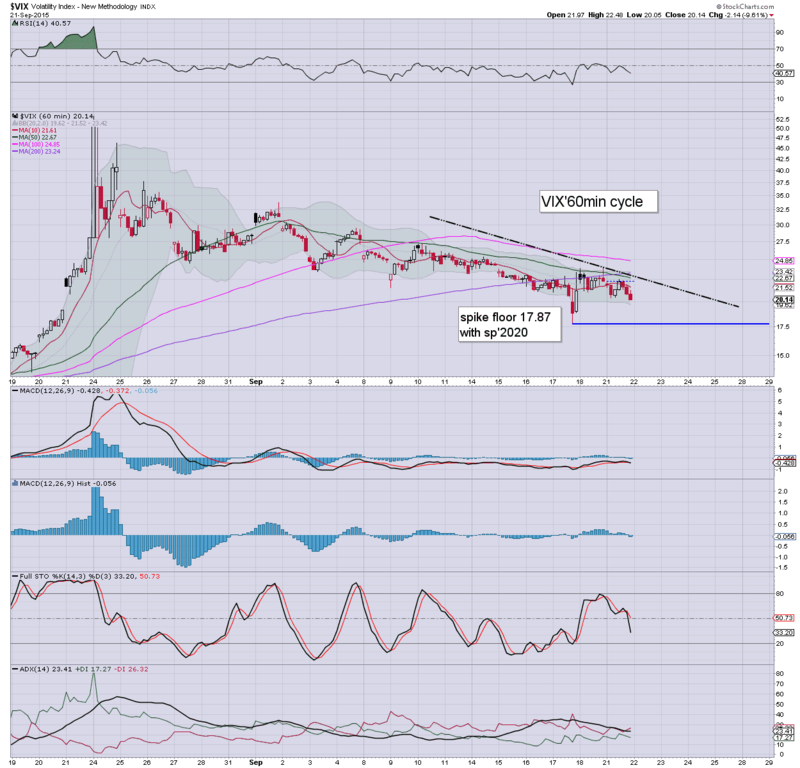 VIX remains subdued in the 21s... sub 20s look a given by midweek. 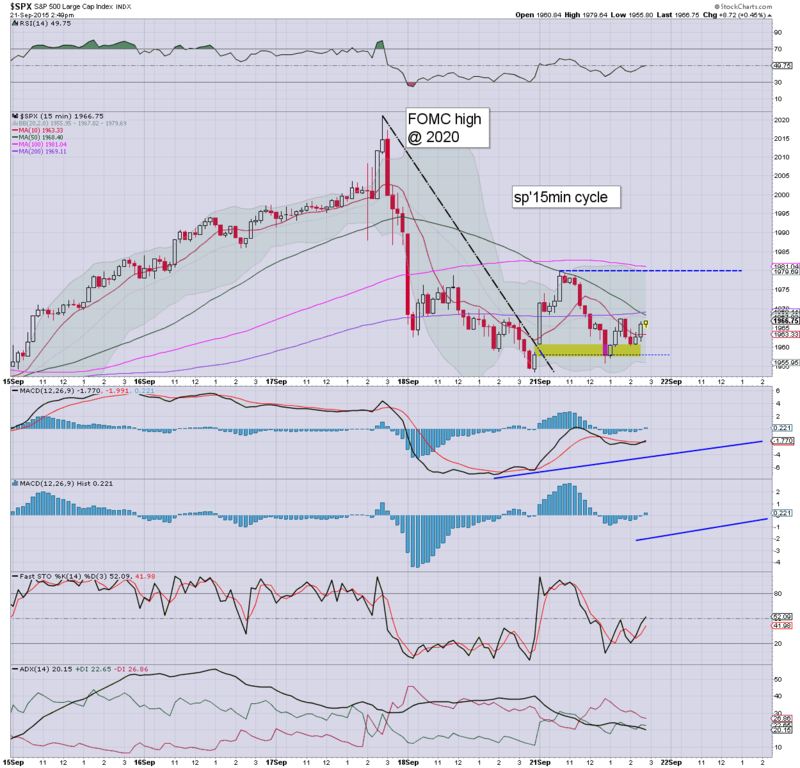 Gold remains weak, -$6, whilst Oil is powerfully higher, +3.0% in the $46s.... seemingly headed for 49/50. I realise many will be confused by today, but it seems the market is just trying to wash out both sides... as we battle back toward the 50dma... currently @ 2036. *I remain tempted by Oil.. but really, I'm not in the mood to complicate things. 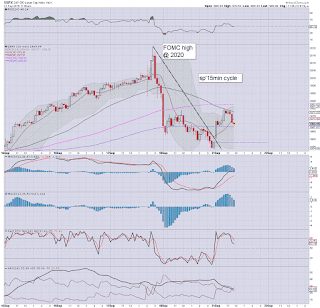 US equities are continuing to cool from the earlier high of sp'1979.. now u/c @ 1958. VIX remains very subdued in the 22s. Despite the USD +1.0% in the DXY 95.70s, Oil is showing some distinct strength, +2.7% in the $45s. 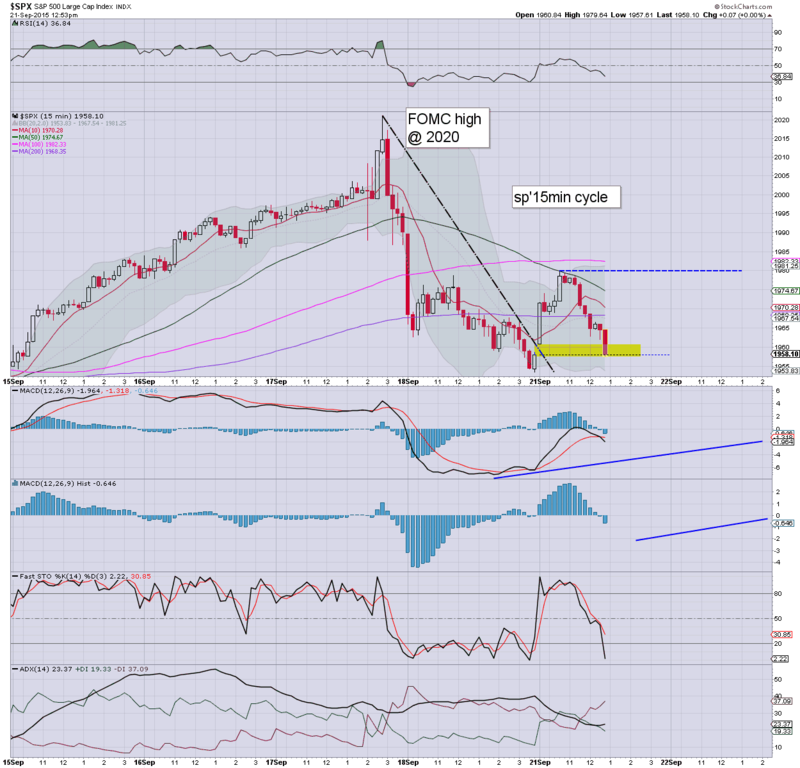 The strength in Oil is a major problem for those equity bears who think we can fall from here. 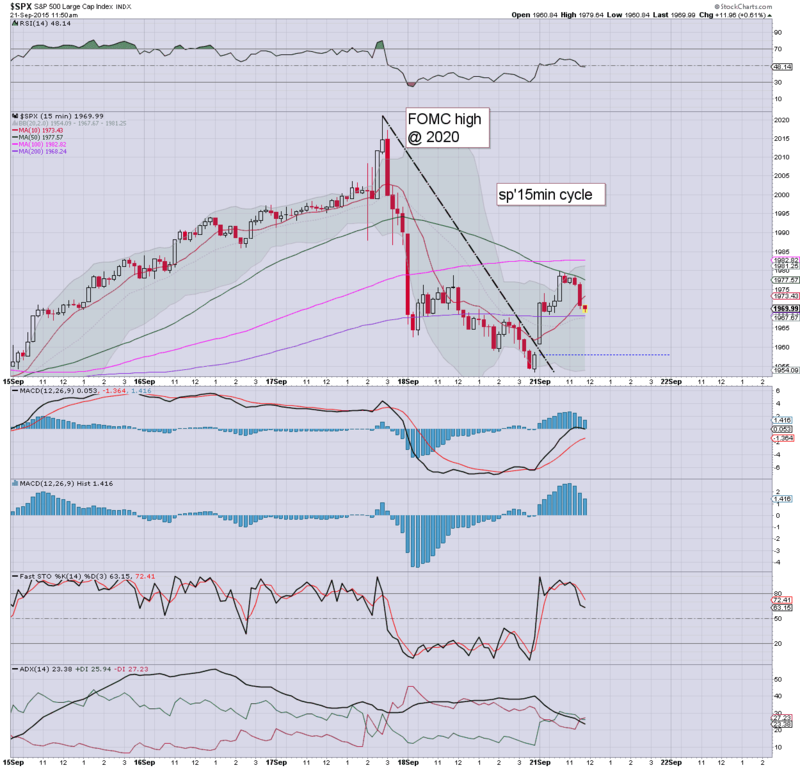 If Oil can rally into the next EIA report this Wed' morning, the broader market will likely be able to battle upward. *I'm getting a little frustrated on the sidelines... I suppose I could just about stomach picking up a small USO-long this afternoon. Hmm. Oh well, I can't short it. *I am short term bullish Oil.... with USO to the low $16s... but I won't get involved on the long side for the remainder of this cycle. Issue... if Oil can rally into Wed'.. with another net draw in the EIA report.. then it'll certainly help the broader market push into the sp'2000s. Unless we take out the Friday low, I've ZERO inclination to get involved until the sp'2000s. time for tea.. on what is a rather horrible grey & rainy day in London. 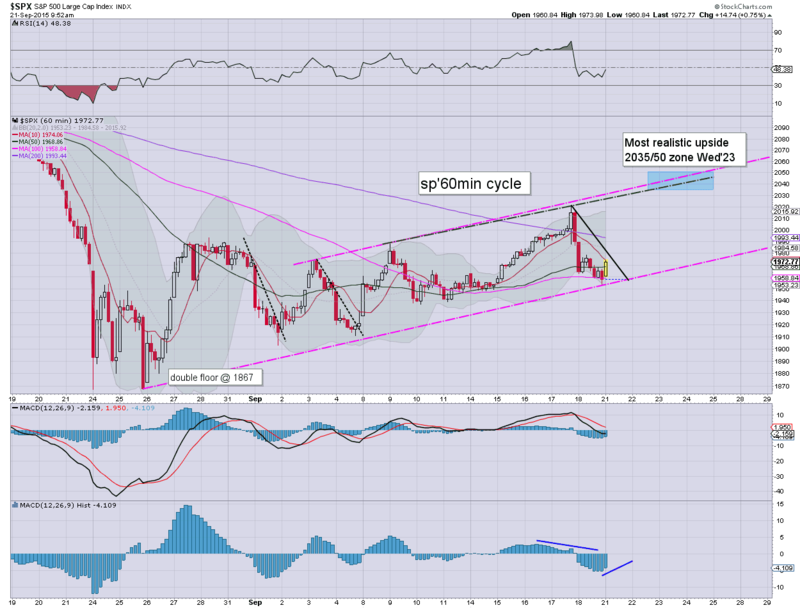 US equities continue to build gains, as equity bears are once again systematically ground out of the market. 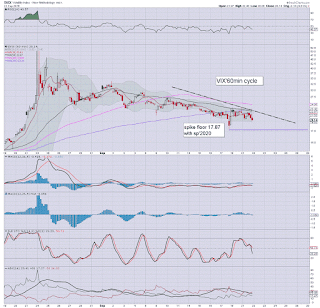 VIX is reflecting a market that is trying to resume 'normal service'... but the bigger weekly/monthy cycles remain utterly broken. Nothing has changed since the August break. *I've adjusted a fair few charts today.. merely to reflect a higher low.. rather than last Friday's marginal break. The point is... we do look headed higher into Wed/Thursday.... and it is from the 50dma (2030s).. that a sustained move to the downside will be more viable. 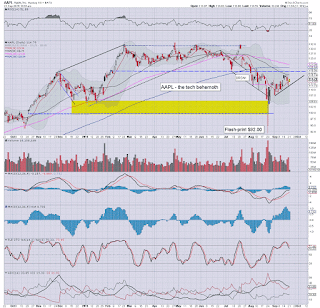 I'd like to short AAPL from the 116/118 zone.... when sp'2030s. For now.. its one to merely watch. US equities open moderately higher, and look set to build gains into the afternoon. A daily close in the sp'1970s would keep the door open to a test of the 50dma in the 2030s later this week. VIX is naturally cooling, -3% in the 21s. Another loss of the 20 threshold looks due. *I've redrawn the hourly chart slightly. So long as we don't break the Friday low, I think its important to keep in mind we could merely have put in yet another higher low. All things considered, those holding long across the weekend must be letting a huge sigh of relief at this mornings open. I remain on the sidelines... am trying to be patient (to build short positions), as I do think there is a serious threat of 2030/50 zone.. before a decisive break lower. The fact that China looks like it'll push upward to the 3300/400s would certainly help give the US/EU markets upward pressure into Wed/Thursday. notable weakness, GDX -2.0%... as Gold -$6.... very weak relative to Oil/broader market. Good morning. 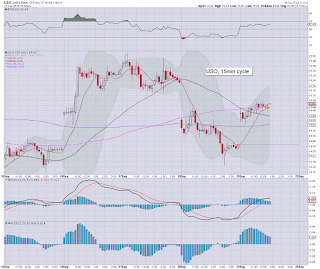 US equity futures have swung higher from earlier declines, sp +10pts, we're set to open at 1968. 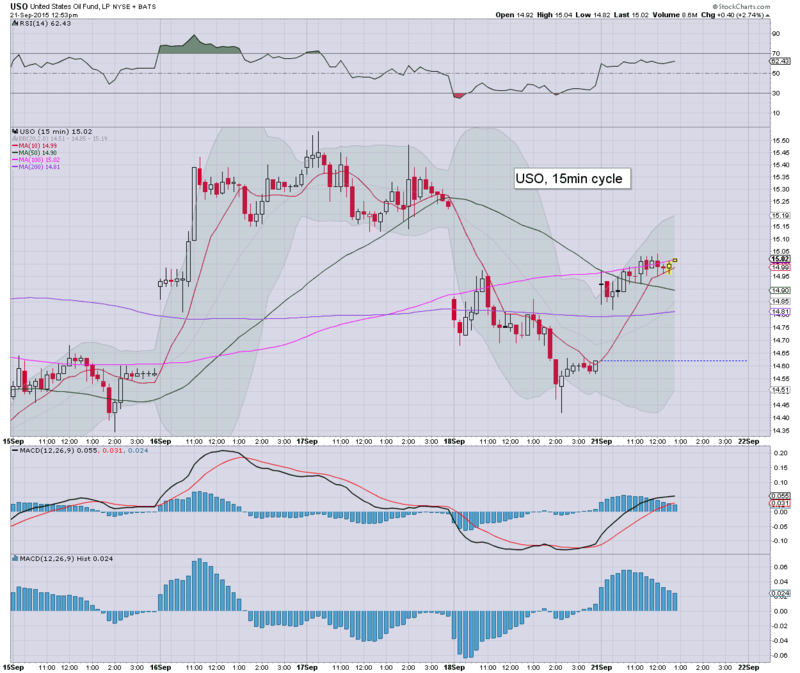 USD is on the rise, +0.5% in the DXY 95.30s. Metals are weak, Gold -$3. Oil is on the rebound, +1.0% in the $45s. So, overnight initial equity weakness... but we're now set to open moderately higher... a daily close, esp' in the sp'1970s will keep open the door to a test of the 50dma in the 2030s this Wed/Thursday. *I am on the sidelines, am on a 'no-longs' policy from here onward... will be looking to build some short positions... but really, I'd like to wait until the the sp'2010/30 zone. *Japan is CLOSED until Thursday. 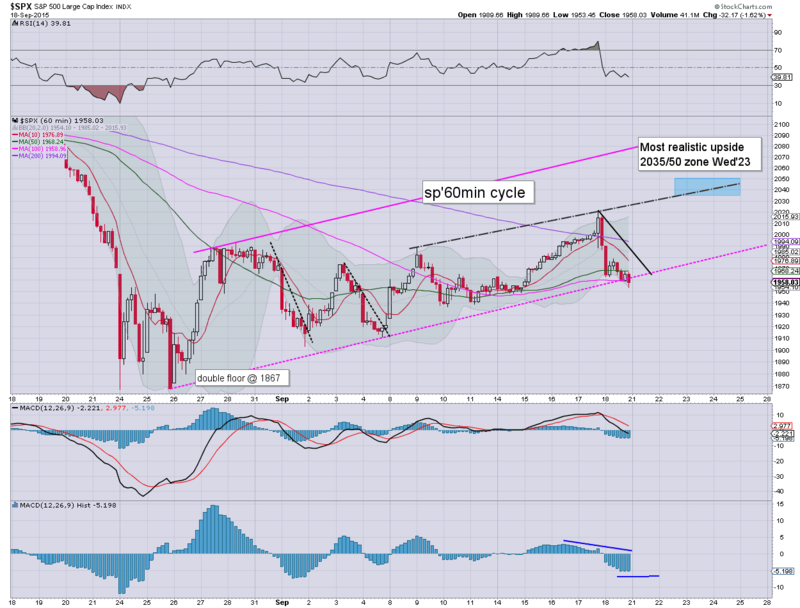 China.. battled hard to overcome initial minor weakness, with the Shanghai comp' settling +1.9% @ 3156. 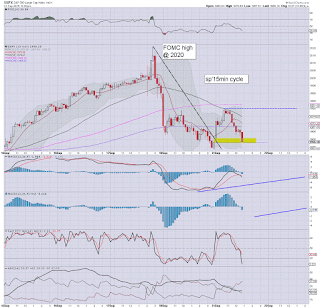 The 3300/400s look due before the bear flag breaks... with viable downside to 2500/2000 in October. 7.30am sp +14pts.. 1972. The faster the market can push up... far better chance of re-taking the 2000s this week. Seriously, even though I won't be taking any new longs in the current cycle, I really am cheering this nonsense higher.... I want a better level to short from ! 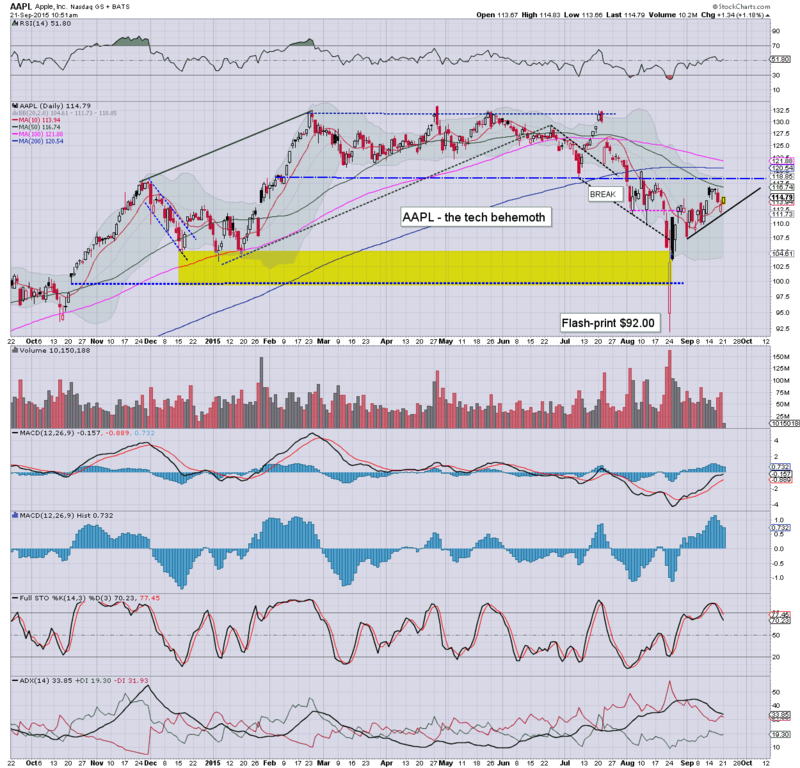 notable strength: AAPL +0.5% @ 114. I'd like to short from 116/118. There is huge resistance at the old broken floor of 119/120. 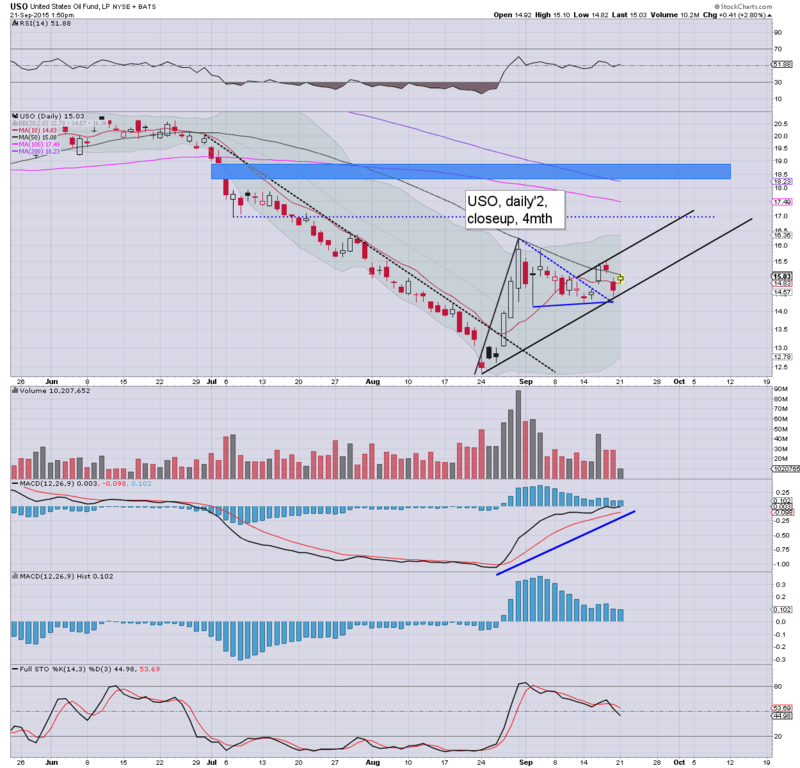 INTC +0.8% @ $29.25... I'd like a short in the 29.75/30.25 zone. The bigger target remains $22s... but that would need sp'1800... if not 1700s.